isavirtue: a free desktop wallpaper for you! a free desktop wallpaper for you! i can't believe what an incredibly busy month november has been. it's been absolutely non-stop with the holiday orders, the craft shows and the extra gallery shifts. so needless to say i've been feeling really disorganized. my house is a total mess, and so was my desktop. as i looked around at my apartment, it seemed like a whole day project - but the desktop? that i can manage. i have a tendency to place my files in little bunches until i'm ready to do something with them. some files need to be listed on etsy, others are collaborations i'm working on, some are to be emailed to my mother, and others, well they just live on my desktop all the time. 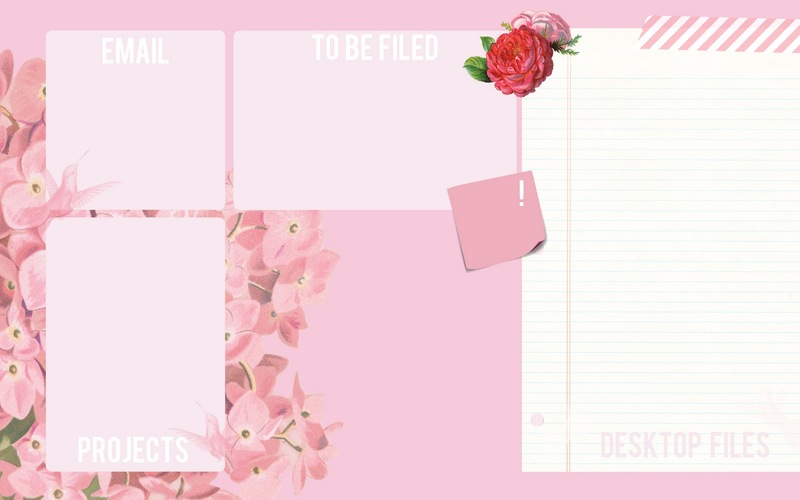 so i thought, why not make an actual placemat style organizer for my desktop? so i did, and now i'll share it with you. i've never done this before, but i made it as big as i could to upload it to blogger - 1920x1200. click the image to get the full size and right click to set it to your desktop. you may have to play with your wallpaper settings. (i found that 'fit to screen' worked best for my 13" mac pro). I do that too! My desktop gets VERY messy and clumpy because of this. Great idea for a desktop wallpaper! love the brightness! i really need to work on cleaning my desktop so it couldn't have come at a better time.